One of Finlandia University’s most loved events is officially on the books for 2019. 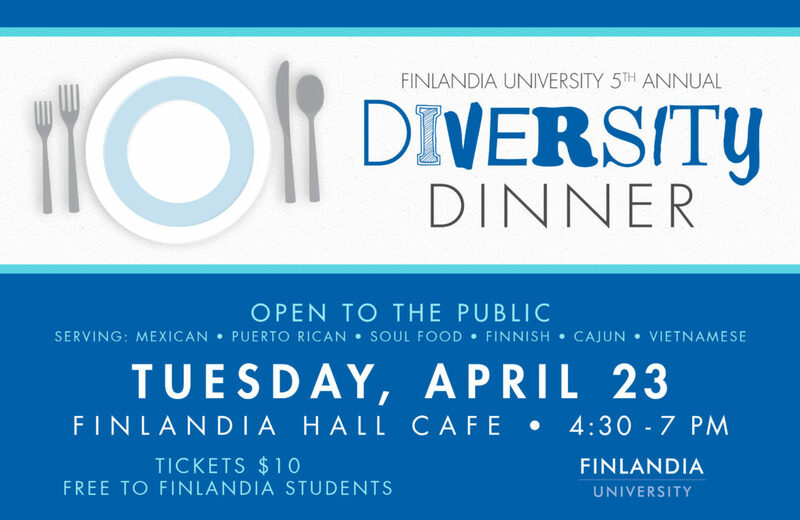 The Diversity Dinner is set to be held Tuesday, April 23 from 4:30 to 7 p.m. in the Finlandia Hall Café. The event is free for Finlandia students and $10 for the public. Come taste food from around the world as FinnU students cook food from countries of their national origin. Tickets will be available at the door. For more information or to get involved contact Director of Residence Life Leann Fogle at leann.fogle@finlandia.edu.